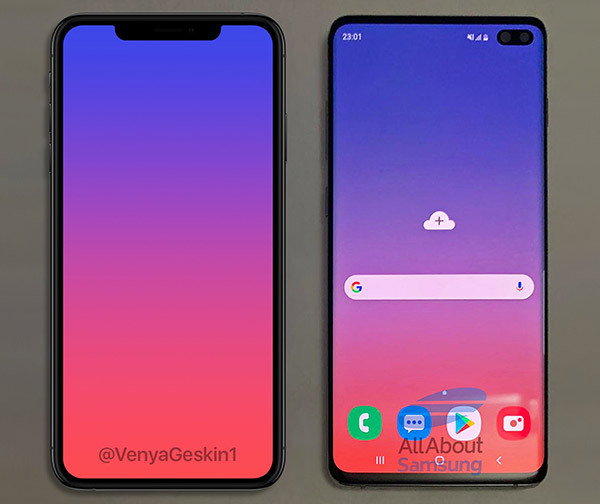 Galaxy S10+ With Dual Hole-Punch Display Shown Beside iPhone XS Max With Notch In Image, Which One Do You Prefer? 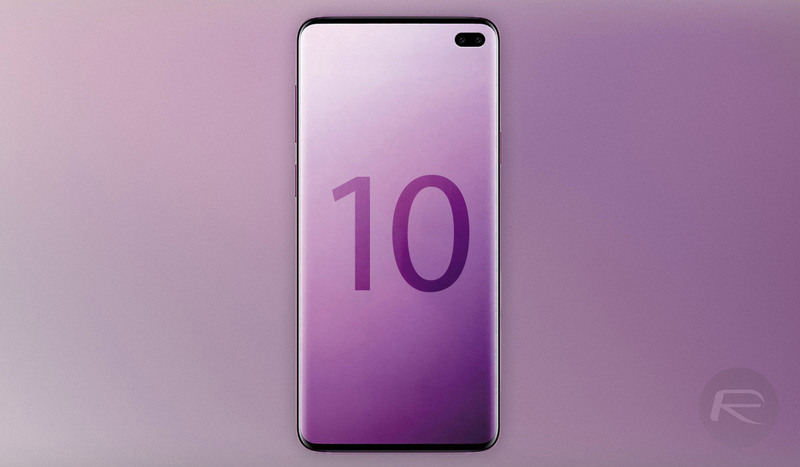 Samsung is set to take the wraps off of its first flagship phone of 2019 next month, with the Galaxy S10 looking like it’s going to be quite the interesting release. While Samsung has already released a phone with a camera cutout in its display, which it calls the Infinity-O display, the Galaxy S10 will be the first flagship to take this approach. The Galaxy S10+ will have an even larger hole, thanks to its dual front-facing cameras. Notorious leaker Ben Geskin has shared an image on Twitter that shows that phone alongside its biggest competition – iPhone XS Max. The image shows an iPhone XS Max beside a Galaxy S10+ and it’s clear that the iPhone is the larger of the two devices. It has the larger notch, too, and while I’m still not 100% sold on the idea of these hole-punch displays, there is certainly something to be said for the different look when compared with a notch. We’d expect the 2019 iPhones with Face ID to offer a smaller notch than those that came with the iPhone X and iPhone XS lines, but whether it can be anywhere near the size of the smaller alternatives that are starting to be seen in Android phones remains to be seen. For now, all eyes are on Samsung and its so-called Infinity Display, and with the next big Android announcent set for next month, we can’t wait to see what Samsung has in store. 2018 was a huge one for phone releases and we can only imagine 2019 will turn that right up to eleven. Check Geskin’s image out and see what you make of that display. Which design do you prefer – the punch-hole cutout on the Galaxy S10+ or the tried and tested notch on the iPhone XS Max? Let us know in the comments section below. I like the Galaxy s10+ Infinity-Pill display. Waiting for the next technology benchmark : somekind of electrochromic screen front which would turn clear where the front camera is located when selfie function is on. S7? How did you get there? Surely you can work it out..? Oh I’m sorry. I thought this was a thread pertaining to the notch on an iPhone XS and a Shamsung s10+ and its comparisons.